The movie begins when the Judge is already decided the suspect is actually a murderer. Its the jury's turn to decide and give their verdict. 12 members of the jury, go into the Jury room, and lock themselves up. Everyone is convinced that the suspect is actually a murderer. Except for one. Jury No. 8 (played by Henry Fonda). He isnt exactly sure if the suspect is innocent, but he is sure that the prosecution was missing something. So, he suggests all members of the jury to discuss about it. And they do, and eventually figure out that the suspect isnt guilty. The End. Well, this movie happens within a room, and the camera never goes beyond the room, for the whole of the movie. It is totally a screenplay of a group-discussion between 12 men, locked within a jury room. Yet, every second goes with a faint thrill, and keeps us locked in the seat until the end. I couldn't believe that it is a 1957 movie. It has been exactly 50 years since this movie came in, and only yesterday I get an opportunity to watch it. 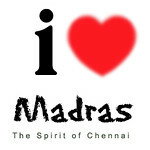 It has taken 50 years, and yet there hasn't been such a thoughtful movie in Tamil Cinema ? I know there was a movie in Tamil called "Naanal" where a gangster group takes hostages within a house. That was pretty interesting a concept. But now we have so much of technology and scope to make such movies of different plots. Still we wouldnt come up with one. The maximum we can think about is Vijay and Asin caught in a lift and later romancing about it. I wouldnt blame the Directors for it. The audience, as usual, takes the responsibility of "denial of quality" to themselves. 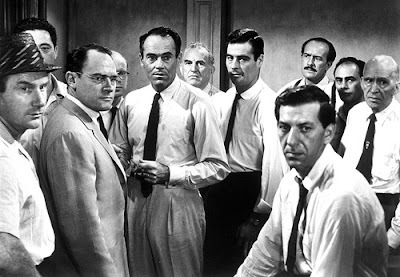 I reckon you watch this movie 12 Angry Men (Directed by Sidney Lumet), if you get a chance. Next up for me is "Anderson Tapes" and "Pawn Broker" by Sidney Lumet. Man, this guy seems to be great ! Keerthi, there is this movie which was directed by Veenai Balachander. The whole movie revolves around a house. Pretty interesting. Suspense filled! Seen this movie ? Its set inside a phone booth ! Watch it when you chance uopn it !